Reports revealed that Michael Jackson might have a 31-year old son. Now, a new hypothesis indicates that he may actually be his brother and the son of Joe Jackson. A very complicated case involves the name of famous singer Michael Jackson. It has been said that Michael actually has a 31-year old son, Brandon Howard. To prove that Michael is his father, the man took a DNA test. The results of the test were released yesterday and allegedly showed that Michael really is the father of Brandon Howard, a love child with popular singer Miki Howard. Now, the whole case received quite an unexpected twist, being said that Joe Jackson is the real father of this child. Miki Howard and Joe Jackson actually have a history together, Jackson being the music manager of Miki Howard back in the 1980s. Miki went on tour with both Michael Jackson and his father. Now, a source talked to the New York Daily News and said that everyone knew for years that Brandon was Joe’s son. Brandon, on the other hand, seems to say that Michael Jackson is his father. The aspiring singer hurried up to add that he is not looking to obtain anything from the fortune of late Michael Jackson. ”Number one, I did not call [website] TMZ or anything like that. Didn’t put out a story, nothing. Number two, I’ve never ‘self-proclaimed’ to be Michael Jackson’s son,” Brandon Howard claimed. ”Number three, I’m definitely not suing the estate. I’ve been taken care of very well. Number four, it is true I did do a DNA test but it had nothing to do with any of this,” he continued to explain. The newly found son of Michael Jackson decided to respond to rumors, as it has been claimed that the man is after Michael’s fortune. However, even though Howard might be interested in the fortune of the late singer, it is too late. 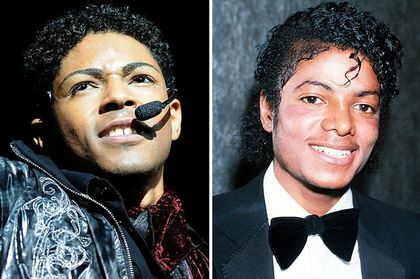 The lawyer for Michael Jackson’s estate said that no one ever heard of this son before and however it is too late, as any deadline to claim to be the singer’s son has passed. Moreover, the case gets even more interesting, as another singer, Augie Johnson, said that he is the father of Brandon Howard. Soon after the news broke, it has been claimed that Brandon is the child that Michael is singing about in his Billie Jean song, as hit released in 1982. Michael Jackson was father to three children. His oldest son, Prince Michael is 16, Paris is 15 and Blanket 11. The famous singer died in 2009.